I can help you decipher grandparent rights and how they can be applied to your situation in Troutman. A s a grandparent, you may find yourself heavily involved in the child rearing process of your grandchildren for a variety of different reasons. In fact, you may even be a primary caretaker. While parents are typically involved in child custody disputes, as a grandparent, you also have the ability to speak to a judge about visitation, and in some cases, custody. While child custody laws are fairly stable, statutes involving grandparent rights are constantly changing. If you are a parent who would like to ensure that a grandparent can have regular visitation, or a grandparent seeking visitation rights, then I can help you decipher grandparent rights and how they can be applied to your situation. As with many family disputes, child custody cases can be emotionally charged. By working with me, you may find that some of the burdens of your case are relieved, and you will know that your interests as a parent or grandparent are fully represented. It’s important to remember that with any child custody or visitation cases, a judge will always put the best interests of the child or children first. This includes determining whether the grandparents are able to meet the emotional and physical needs of the child. It is our goal to provide accurate information in such an instance, so your grandparent rights are fully known during your case. 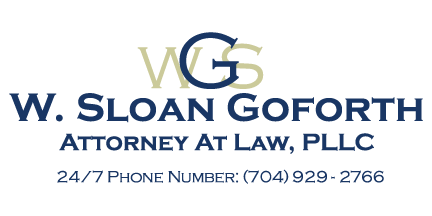 If you are interested in learning more about grandparent rights or need help with a custody or visitation dispute in Troutman, North Carolina, reach out to me, W. Sloan Goforth, Attorney at Law.